USA, 1956 One of George Nelson’s rarest chairs, the kangaroo chair was only produced for a few years in very limited numbers. This example has been beautifully restored in two-tone upholstery. USA, 1960s This Comprehensive Storage System by George Nelson features one cabinet with sliding doors, one secretary cabinet, four short shelves, and four long shelves. 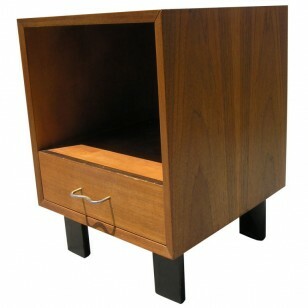 USA, 1960s This nightstand by George Nelson for Herman Miller is constructed of an enameled steel frame with a wood shelf and a wood-front drawer. 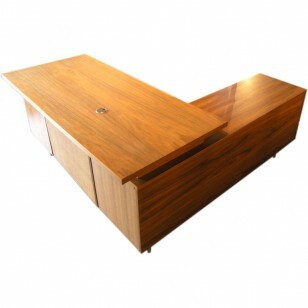 The drawer features three small compartments and the original manufacturer’s label. USA, 1950s This nightstand by George Nelson for Herman Miller is constructed of an enameled steel frame with a glass top and a painted black drawer. The drawer features the original manufacturer’s label. USA, 1950s This small hairpin leg side table is unique and functional, with two copper planting boxes and a large drawer. 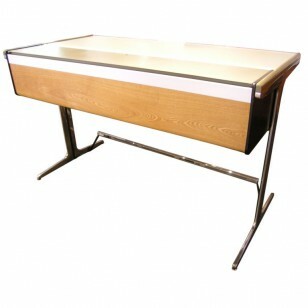 USA, 1960′s This large stately desk features a wall credenza with multiple shelves and drawers. 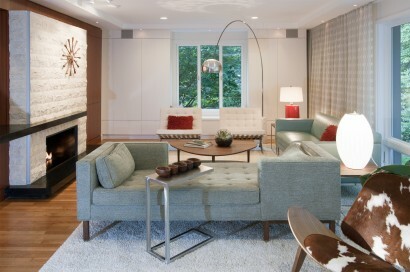 Working lights are in the upper portion of the credenza. One large file drawer. 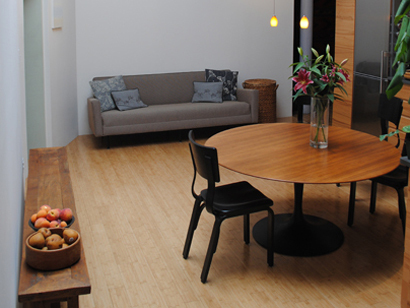 Desk size is 65″L x 29.5″D x 29″H. USA, 1950s George Nelson designed his angular side chair, model #4668, for use at the dining table or work desk. 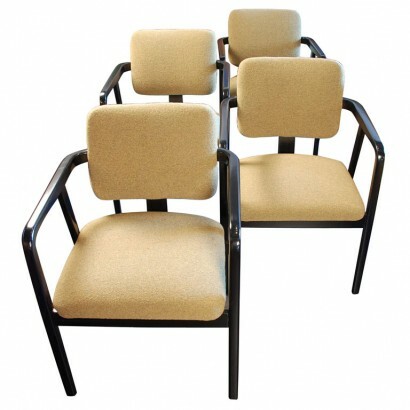 The chair contrasts an ebonized birch frame with a comfortable seat and backrest upholstered in a soft green. Two available. USA, 1950′s This classic Herman Miller steelframe desk was designed by George Nelson in the 1950′s. USA, 1960′s This large stately desk features a wall credenza with multiple shelves and drawers. One large file drawer. 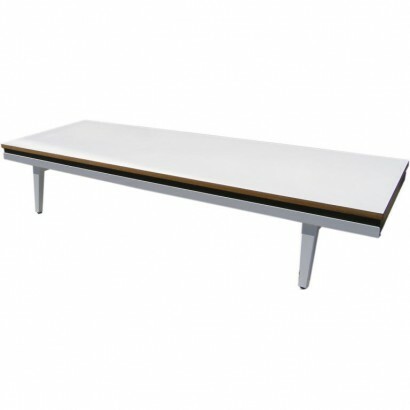 USA, 1950′s This table is part of the Steelframe Series. 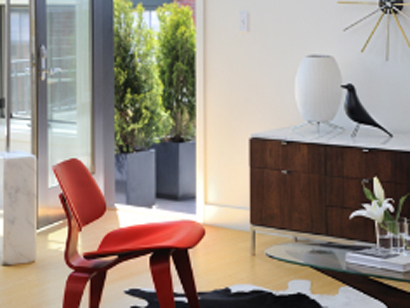 Matching Table Lounge Unit and Armchair also available. 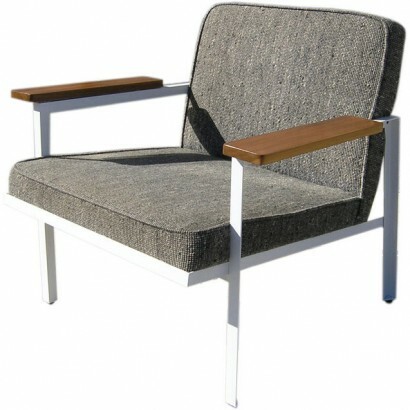 USA, 1950′s This armchair has the same original textile as the Table Lounge Unit we have listed. In excellent condition with new foam. 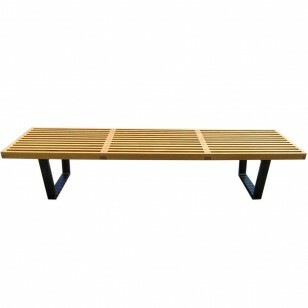 Matching coffee table and Table Lounge Unit also available. USA, 1950′s This set of 4 dining chairs by George Nelson for Herman Miller have been newly re-upholstered in Knoll cuddlecloth textile in Moss green. Ebonized wooden frames. USA, 1950s Walnut nightstand with open compartment and one drawer standing on rectangular black legs. USA, 1950s This walnut Executive Desk by George Nelson for Herman Miller features a rectangular top over a return with drawers and doors, stainless steel legs with chrome finish, rattan privacy panel. 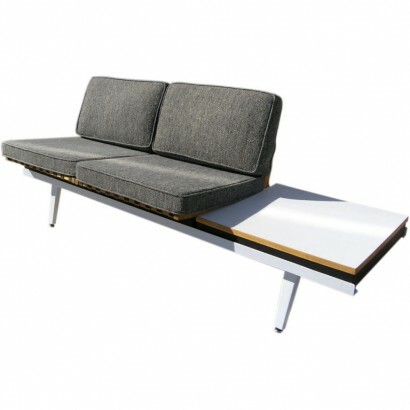 USA, 1960s Beautiful Herman Miller bench in all-original condition.